An assassin's life is filled with many challenges. She has to be ready at a moment's notice to drop behind enemy lines and do what is necessary to complete her mission. Even if it means putting on a pair of skates and joining the Sinful Sliders in a rematch to determine once and for all who won the Louisiana Derby Championship of 1982. Should be an easy mission, right? Wrong. Someone else has other plans, and attacks one of the opposing skaters before the championship bout, dropping clues that frame an innocent man and point toward Ida Belle as an accomplice. 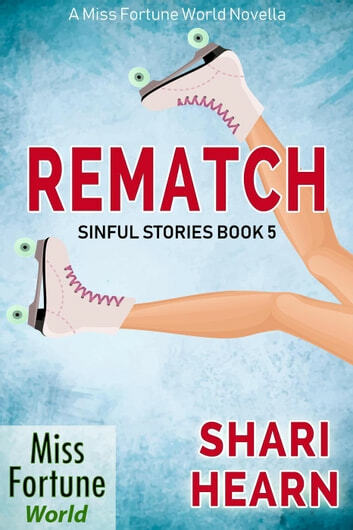 A WORD FROM THE AUTHOR: Rematch was first published on August 25, 2016 as part of the Miss Fortune Kindle Worlds program (which ended in July of 2018). It is now part of the Miss Fortune World published by J&R Fan Fiction. I wish to thank Ms. DeLeon for graciously allowing other writers to explore their own writing in a most Sinful way. Sinful Stories is a series of stories written by Shari Hearn within the Miss Fortune World featuring Fortune, Gertie and Ida Belle. They may be read in any order; however, they do follow the timeline of Jana DeLeon's Miss Fortune series with regard to Fortune's relationship with Carter. With the earlier books in the series, Carter doesn't know Fortune's true identity. 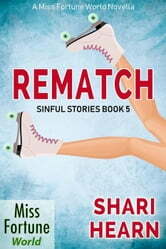 As Jana DeLeon's series changes with regard to Fortune's continued threat from Ahmad, future stories within Sinful Stories will reflect those changes.